Kate Hurley, a veterinarian and professor at University of California - Davis demonstrated in Roseville, California, on June 10 to show support for immigrants and people of all religions living in the US. Participants in the March Against Shariah rally in Roseville, California, on June 10. 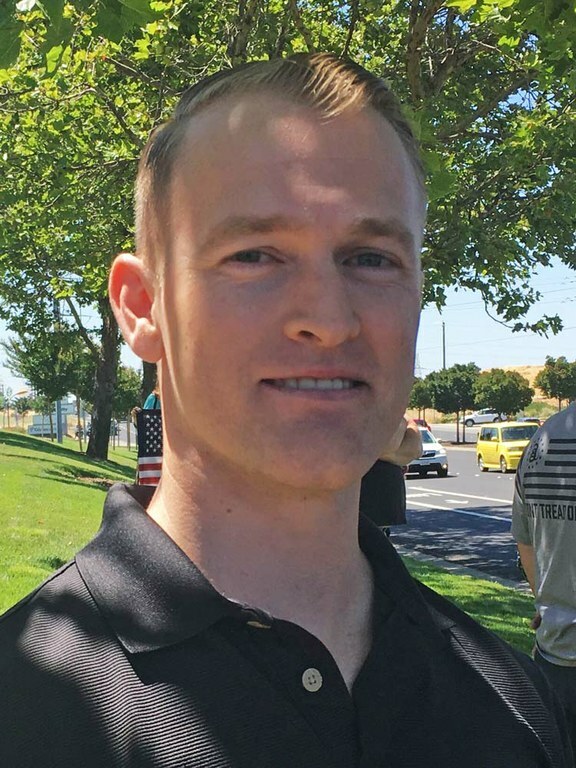 Self-styled militia members participated in the March Against Shariah rally in Roseville, California, on June 10. A man speaks to the crowd during the anti-Shariah protests in Denver on Saturday, June 10. Bikers wearing jackets emblazoned with "Bikers against radical islam" and patches supporting gun rights watch the police hold the line where protesters gathered in Denver on Saturday, June 10. An American flag sweeps by, momentarily coloring the scenes of gathering anti-Shariah protestors in Denver.